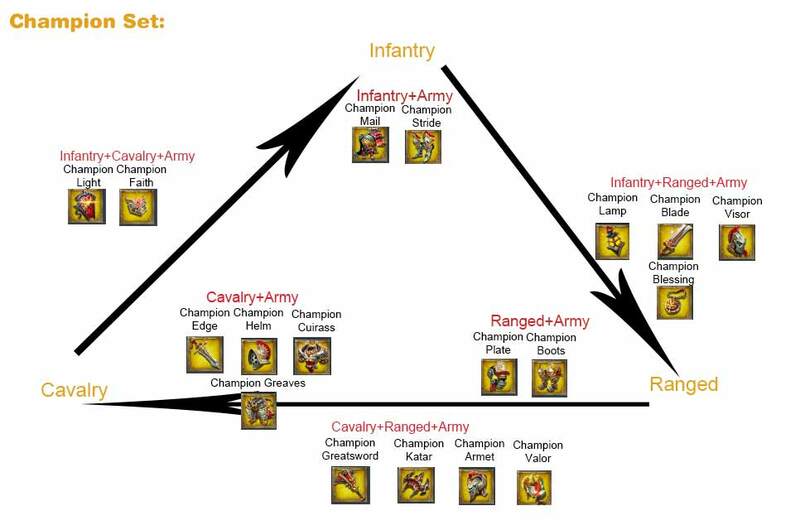 Wondering which gear is good to use? 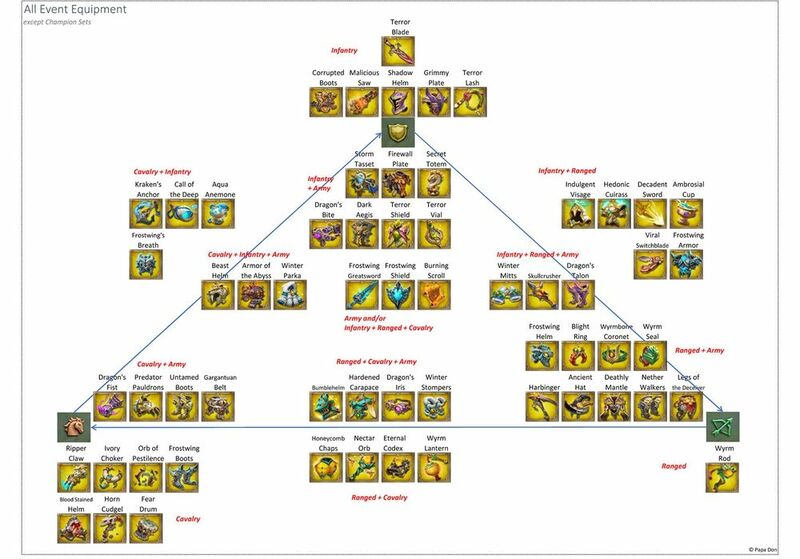 In this image is a nice chart displaying all of the Monster Gear for each type of troop composition including the Champions Sets and excluding the Imperial Gear(From Battle Royal). All credit to Papa Don for this page.